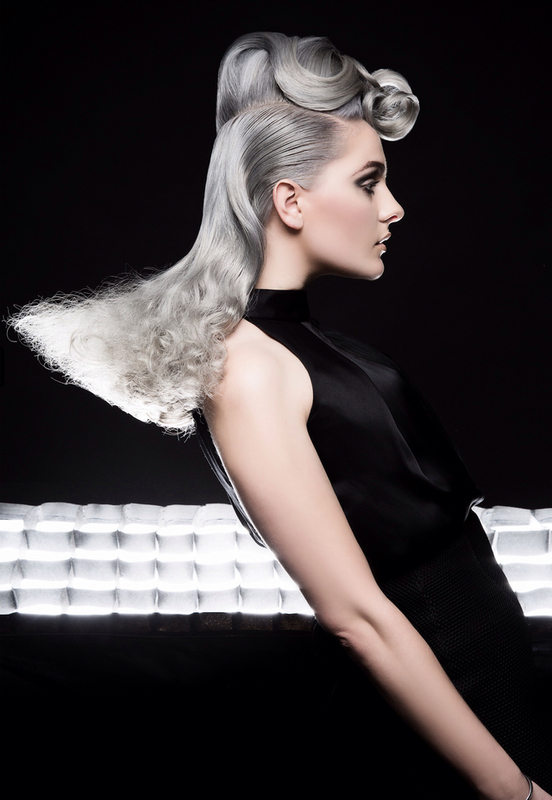 We are thrilled to partner with the Professional Beauty Association (PBA) to promote all the talented artists who are finalists for the 2015 NAHAs (North American Hairstyling Awards), the most prestigious hair and beauty award in the country. 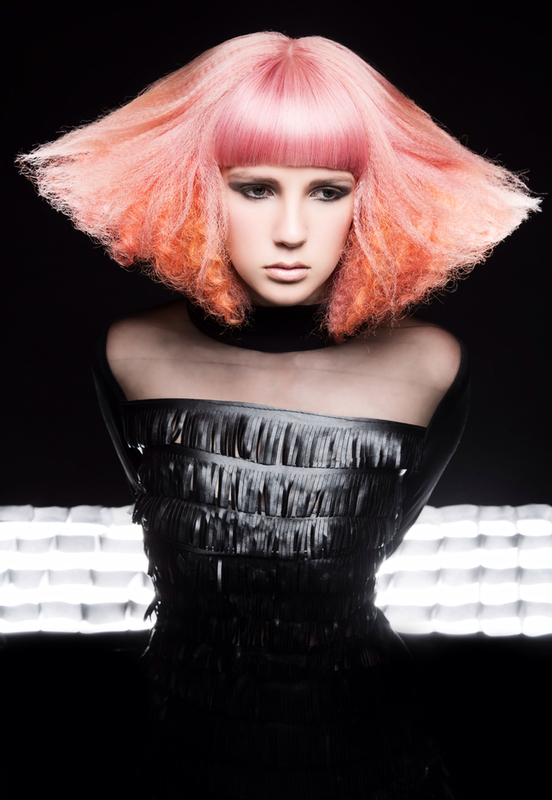 Bangstyle had the honor of interviewing amazing hair artist and, one of this year’s finalists in the “Student Hairstylist of the Year” category Nicole Barrera. Check out our exclusive interview with Nicole and get the scoop on what fuels her passion for hair artistry! The inspiration behind my collection is hair of future’s past. Each individual style is a contemporary look created from a vintage hairstyle trend. I also wanted to show textured angles with sleek curves to show contrast, but it also gives just the right compliment to the hair. After piecing multiple images and blueprints together, my ideas came to light, and the collection was created. I adored the Editorial Category and found Danielle Keasling's collection to be the most inspiring. The vision behind every detail is perfect! I like seeing how much versatility there is for creating different hair styles. Whether you are creating a piece catered to the guest’s liking or making an inspiration come to light. Every style has something unique to it. What was the most surprising thing you’ve discovered about the hair industry? The amount of opportunity that you can achieve throughout the industry. I never realized the different fields you can be a part of, and just how quickly the industry evolves. I can't be without my Conical Wand and my Aveda Control Force hairspray. Who are your idols in the hair industry? Have you met any of them? My idols are Heggy Gonzalez and Tippi Shorter. I have not met Tippi Shorter, but I hope to meet her soon and I have had the honor of learning and working with my mentor Heggy Gonzalez in the past year. She is my biggest inspiration in this industry and has accomplished so much. Someday I hope to have as much talent as she does. How will you celebrate a win in your category? If I win, the first chance I get will be to play a slot machine for a jackpot, because I'm sure luck will be on my side! All jokes aside, I would have to celebrate with my peers, mentors and family because they all supported and believed in me. If you could have anyone in your chair with no restrictions, who it would be and what would what you do? Kate Middleton, she has great hair but I feel it's a bit simple and could use a change. I would give her a chic shoulder length asymmetric bob and intensify it with a dark chocolate brown hair color. Is there a category you are really interested in competing in next time? I definitely want to compete in the "Newcomer Stylist of the Year" category but the "Texture" category is also very appealing. Do you have a ritual or lucky item you'll be bringing to the awards? I don’t have anything interesting when it comes to that, but I'm sure I'll start one this year. 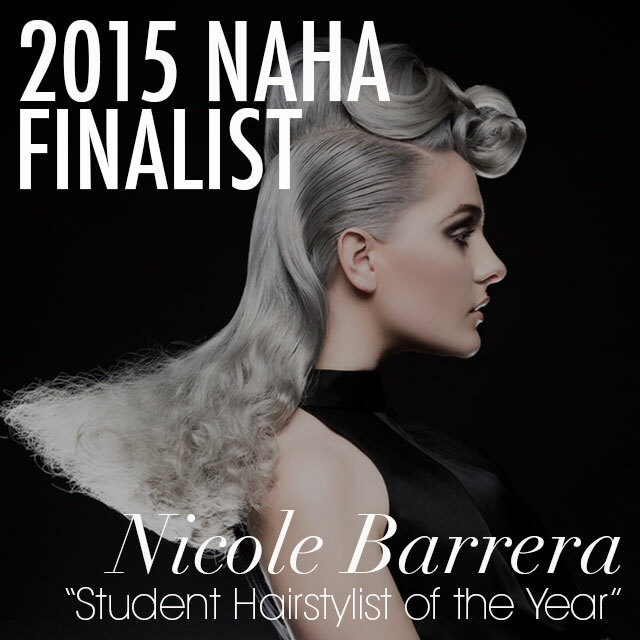 Be sure to STALK Nicole Barrera to see the rest of her amazing work, and wish her the best of luck at the upcoming awards!